With contributions from Ari Levitch, Doug Beyer, Kelly Digges, and Kimberly J. Kreines. The Eldrazi titans have been destroyed. The world of Zendikar has been saved. Now the four Planeswalkers who acted to make this so must decide what is to come next. His throat was all nettles and brambles when he swallowed. He must have been snoring. On the comfort of a bedroll, cradled in the warmth of an oxhide blanket, Gideon let his eyelids slide open. It was still dark in the tent but he threw the blanket aside, and though the air was still, it bit at his skin with a crispness that portended the world beyond the tent. It was enough to raise goosebumps before Gideon could find his shirt and pull it on in the predawn dark. He splashed water on his face from a wooden bowl that rested on a chair next to the entrance, and then finished climbing into his clothes. A water skin hung from one of the tent's support beams. Gideon removed it and slung it over his shoulder before pushing one of the two heavy tent flaps aside. As he stepped across the threshold, a glint from within the tent caught his attention. He cocked his head, and the outline of his breastplate took shape in the far corner beyond his bedroll. And it would remain there, along with his greaves, pauldrons, shield, and sural—at least for the moment. He didn't need it just then, and he was suddenly aware of the lightness he felt around his back and shoulders. It felt good. So did the chill. A sharp breeze brought it from the east, driving off the remaining warmth he had found beneath his blanket. Above the wind, Gideon could hear the waterfall that sent its contents spilling down from floating masses of land at the other end of the encampment. Purple was beginning to bloom on the horizon, and Gideon breathed in deep to savor the morning air that was laced with the faintest hint of cook fires. Then he was off at a run, the water skin bouncing lazily between his shoulder blades. This was his ritual, if it could be called that after only three days—waking up before sunrise, unencumbered by weapons or armor and unburdened by the logistics of keeping an army together, Gideon would simply run. He could focus on his breathing. That each footfall followed the last was his only concern. Gideon's path took him around the perimeter of what was left of the great Zendikari encampment. The site was a collection of floating islands surrounding an enormous derelict hedron that leaned to one side. They had all been lashed together by ropes and bridges. 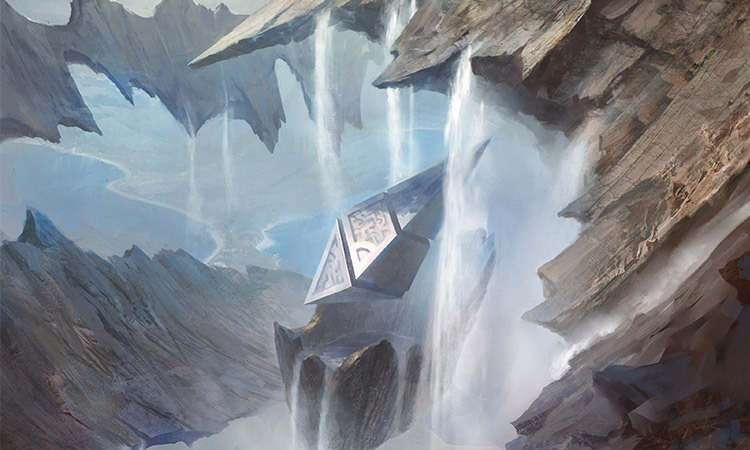 It was here, at what had come to be known as Sky Rock, that the people of Zendikar had mustered in unprecedented numbers to stand together in defiance of the destruction that the Eldrazi had promised. Before the army marched on Sea Gate, the encampment had swelled so large that the gravity-defying stretch of land was not enough to accommodate everyone, and a secondary camp went up in the shadow below Sky Rock. But the numbers had since dwindled. Many hadn't escaped their end at Sea Gate, and now that the titans had been destroyed, more and more of the Zendikari host were trickling away each day. Above him, clouds, turned orange by the dawn, stretched out across the dim sky. He followed their course with his eyes toward the horizon, where the sun threatened to breach the surface of the sea. Between him and the horizon, Gideon's gaze found the ruins of Sea Gate. Even in the low light of early morning, Gideon could see what had once been a wall of brilliant white stone, topped with a mighty lighthouse, now reduced to a crumbling stump of its former self—a rotted tooth in the mouth of the bay. Sea Gate. Halimar Basin. It all happened there. In his mind, Gideon juxtaposed the sequence of events, complete with the destruction of the Eldrazi, onto the landscape. This was how Jace must see the world all the time—a series of scenarios playing out in some logical course that he could see. Jace had proved his worth. He stayed when others would have left. He was the right person for the puzzle of leylines. And now, the two of them were oath brothers. Gideon's mind turned to the Gatewatch. This group of four Planeswalkers who shared his vision. Along with Jace, Nissa, a stranger to him only days ago, was now committed to helping worlds beyond her own. And then there was Chandra. In the end, she had come. Of course she had. Gideon pounded across a rope bridge that spanned two colossal floating stone slabs, its wooden planks roiling violently with each heavy step. At the other side, he paused for a moment, unslinging his water skin and tilting it up to his lips to drink. "Sluggish this morning?" came a voice from behind. The words were punctuated by boots on the wooden planks behind him, and Gideon whirled around to see the blur of a figure rush past, water sloshing from the leather pouch to soak his shirt. Tazri. He smiled and raced after her. "Just giving you a chance to catch up, Commander-General," he said. This time it was his turn to pass her. He pumped his legs harder, breaking into a full sprint. Any moment now, he'd be able to throw some jest at her over his shoulder. Any moment now. But for all his effort, Tazri kept pace. And Gideon loved it. The two soldiers ran together without speaking for a while, making their way around the encampment to the sound of their steady footfalls and even breathing. Soon the camp was stirring. More cook fires blossomed, and the accompanying sounds of an army coming to life soon filled the air. "I'm going to address the volunteers today," Tazri said without breaking stride. Gideon turned to her, and then followed her gaze to where to where the next group of departures—a mixed company of kor and elves—was preparing for their journey to some far corner of the plane. Ulamog and Kozilek were dead, but reports of their spawn have continued to come in. "How many do you think will stay?" Gideon asked. Tazri let out a noise that was somewhere between a snort and a chuckle. "You know, I have this gnawing feeling that in a few days, you and me'll still be running around this place all by ourselves." "Maybe you should be working on your speech, then." Gideon let her see that he was smiling, but she was somewhere else. She was in the command tent, arguing with her generals over maps. She was wrangling supplies. She was in the field, leading from the front. And she was articulating speeches. The burden of command. It was now hers—Commander-General Tazri. And Gideon couldn't think of a better choice. "And what about you, Gideon?" Tazri said. "Can I count on you to help sweep away the remaining Eldrazi? When the two of them had been reunited after his escape from the demon's cave, Gideon had noticed a change in Tazri. It wasn't something he could define, at least not at the time. But now, he saw it as a cool calm. The maelstrom that came with leadership would roil around her, but she would remain unbowed by it. She was resolved to weather it for as long as it was necessary. "I'm yours to command, Commander," Gideon said. "Until..." Tazri's words trailed off. "Until," he confirmed. Gideon wasn't from Zendikar. He'd come here to do what he could against the Eldrazi. But there would be other threats to other worlds, and he had pledged to the Gatewatch to intervene where others couldn't. Their run resumed its silence. "Well, until then," Tazri said a moment later, "I'm glad you're with us." It was her turn to smile, and suddenly she pulled ahead of Gideon, who couldn't keep up. Two rough, callused hands reached out and came to rest around iron. The hands were mostly wiped clean of the dried blood of the battlefield, but red lines remained under the fingernails. The iron they touched was not the pommel of a sword or the curved face of a shield, but the cold metal belly of a stout stewpot. The hands felt the rough underside of the cauldron, touched the sturdy squat legs, glided over the heavy-handled lid and the ridiculously sized ladle hanging to one side, and found places on either side of the pot. There, resting gently against the metal, the hands imparted warmth. Steady heat flowed from the fingers and palms into black iron, and from the metal into the cold broth inside. The broth slowly warmed, and eventually it bubbled, drumming the lid and allowing comforting aromas to escape. Smells of herbs and hearty tubers and sweet ripe alliums—they were a recipe of convenience, the ingredients amassed on a midmorning sortie by a few of Tazri's soldiers. It was prepared on-site, in the same place where titans had risen and titans had fallen—the field of battle that was now just a field. Chandra released her hands from the sides of the pot and used her arms to shift in her not-terribly-comfortable makeshift seat. She took the excessively large ladle in one hand and opened the lid with the other. She had to stretch slightly to reach the top of the pot, and her goggles steamed as they just cleared the lip. She reached in and dipped generously into the goulash, to get at the good chunks that had settled, and raised up a brimming portion. She served bowlfuls of breakfast from her seat until the line ran out. And when Tazri's scouts found more roots and herbs and filled the pot with more broth, she heated that, too, and she and others served seconds to everyone, and some had thirds. Chandra's muscles were tired of sitting, and the object she had chosen to rest on wasn't doing a very good impression of furniture. But she didn't have much choice in the matter. As soldiers lifted the cauldron away from where Chandra sat, Nissa appeared, bearing a stacked armful of blankets. Chandra smiled a crooked smile at her as Nissa dumped the blankets, layer after layer of coarse, fragrant wool, into Chandra's lap. 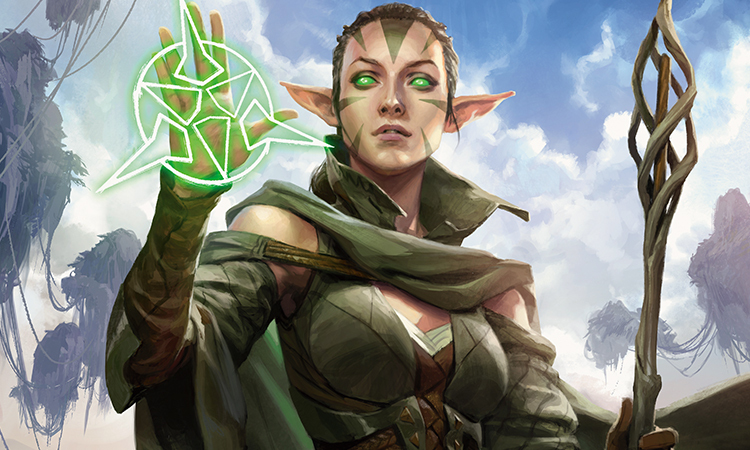 Nissa's eyes were quiet and thoughtful, green touching green. Chandra liked the way her movements were gentle, her hands kind. Chandra looked at the blanket pile. She closed her eyes and centered herself. She hugged the blankets suddenly, her face squashing into the wool. And as her body encircled them, as her palms (mostly wiped clean of blood) pressed against the rough weave, the blankets warmed. Minimal. Unassuming. Right. Back to wisps of mana and straightforward heat spells. Back to normalcy, almost. Faint traces of steam curled up from the wool. Chandra relinquished them, and Nissa gathered them up in her arms again. Chandra watched her new—ally? Teammate? No, friend is what we call those people who help us survive. She watched Nissa walk among the convalescence of tents and makeshift beds, carrying the stacks of magically warmed blankets. Nissa draped them one by one over sore shoulders or across shuddering chests, as Zendikari healers and field-clerics made their rounds. Jace didn't come to say hello. Chandra saw him standing next to a boulder-sized hedron, his cloak wrapped snug around him. He stood still, but he looked like he was strolling somehow, maybe wandering through the events of the last several days somewhere deep inside his own head. Finally Gideon approached, stowing his sural at his waist. He wore minimal armor this morning, but she could see that he still scanned the pitted turf around them, checking the tents, watching the bindings of Sky Rock—always vigilant, she thought, in war or in recovery. He stopped next to where she sat, at her shoulder. "Did a sweep with Tazri. There are still stragglers out there, but most of them are put down. We think it's done." Chandra knocked him on the bicep. "Nice work, Lord-Commander-Knight-General." He hitched his thumbs into the straps on his chestplate. "It's just Gideon, again. Is that thing at all comfortable?" Chandra pushed with her arms to shift on her makeshift chair. She shrugged. "I asked to sit on it." He nodded absently. "You going back to Regatha?" "I meant what I said before. Had my hand up and everything." "I know. But you can still return, if you have commitments there." Chandra chuckled. "Are you giving me permission?" "What I mean is, we're done here, for now. You've done your part. We can reconvene when we're needed again." Chandra jabbed an elbow into his ribs. "I'm in this, Gideon. I'm part of the Gatewatch now." He pointedly didn't look down at her. "How're the legs?" "Enh," she grunted. Chandra's hands went involuntarily to her knees. She could feel the sensation in her legs, but just barely, like she only had partial ownership of them. She tapped her feet on the ground to prove they could wiggle. "Feeling's returning. Healers said it was something about the spell, the big one—I used reserves I shouldn't've. Said I'd be fine in a couple of days. But I'm thinking hours. Try to stop me dancing." Gideon's eyebrows twitched unevenly for an instant, a gesture he couldn't entirely hide. The man wore concern like an undergarment, hidden under layers of strength and steel. "If you hadn't come..." he started. He shook his head. "Well, if you hadn't asked," Chandra said. And she punched him in the arm. Gideon just stood straight, trying to find something on the horizon to look at. "Hey," Chandra said. "We helped people. And we'll do it again." "You stick to those minor spells for a while," he said, squeezing her shoulder. "Don't strain yourself. I'm off to..." He looked around. "I'll do another sweep." He walked off. Chandra used her hands to pull on her thighs and cross her own legs. She leaned back against the "chair," which looked a lot like fire-charred bone but, up close, didn't really feel like bone. She wondered what part of Ulamog's skull this had been—maybe it was from the back, where the titan's spinal musculature had exploded into shards of nothingness. She hoped it was from the front, between its jaw-structures, the faceplate that had turned toward her as it was consumed in fire. She leaned back against it and put her rough, callused hands behind her head. Jace stood next to an enormous fallen hedron, apart from the throng of busy Zendikari. 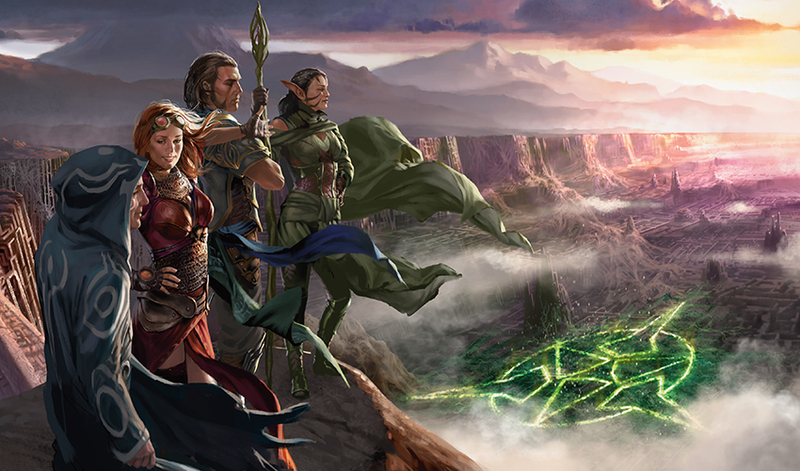 From this vantage point he could see where Nissa's glyph of leylines had burned itself into the valley floor, shining with a green and wholesome light. He wondered if it would fade with time. He watched as Gideon approached Chandra, who was still confined to her ridiculous battlefield throne, still unable to walk after channeling the mana of an entire world into one huge blast of fire. Jace wondered if that would fade with time, too. He'd been assured that it would. She'd been hunched over, focusing intently on the delicate pyromancy of heat without fire. As soon as she saw Gideon, she grinned, her shoulders loosened, and those ever-fidgeting hands of hers fell still. By the time they were done speaking, she was sitting a little bit taller. Gideon's history with Chandra was nearly identical to Jace's, from what he'd been able to glean. Like Jace, Gideon had been sent after her to retrieve a stolen scroll. Now she greeted Gideon warmly, but still looked at Jace with suspicion. Maybe there was magic in what Gideon did, but Jace didn't think so. He'd watched the Commander-General move among his troops after the battle—saying a few quick words, putting a firm hand on shoulders, kneeling silently at gravesides and listening to remembrances of the deceased. Everywhere he went, relief and hope took root. Leadership. Jace wondered if it would work on him the way it did on the others. Jace ought to be able to replicate the effect with telepathy, to work out from people's thoughts the right thing to say or do to give them solace and comfort. To make people trust him. But Gideon wasn't a telepath, and everyone knew that. Gideon just knew what to say. Maybe that was why it worked. Maybe Jace should leave charisma to the charismatic and focus on arming Gideon with the best possible information to make those honest, forthright decisions of his. Jace felt a pang of guilt, already making plans to win Gideon over in some imaginary future argument to bring the others around. But then, that's what Jace was always doing. Making plans. That was what bothered him about the present situation. No plan. Two Eldrazi titans were dead—truly dead, it seemed, according to Jace's calculations, Nissa's intuition, and the sheer volume of Eldrazi viscera splattered over the basin. That left one titan on the loose—perhaps still lurking on Zendikar, but more likely not. Ugin's missing allies, Sorin Markov and Nahiri the Lithomancer, still hadn't shown up, and Ugin himself had yet to make an appearance at the scene of the titans' fall. Jace's new friends seemed content to help the Zendikari as they reunited with their families, cleaned up the prodigious mess, and hunted down the enthralled vampires and Eldrazi worshipers and what few of the brood had survived the conflagration. All laudable, to be sure. But these were tasks that the locals could undertake themselves. Ugin's allies, the third titan's whereabouts, other looming problems like the Chain Veil...these were threats that could only be handled by Planeswalkers. By the Gatewatch. That was the point, wasn't it? A cry from the sentries broke his reverie, a pattern of trilling hoots that indicated a flying enemy. Jace scanned the horizon for a panicked moment—there, barely visible against the clear blue sky, was a luminous winged shape, flapping slowly. "Don't engage!" shouted Jace, leaping to his feet. "That's a friendly!" I hope he's feeling friendly, anyway. There was, in fact, no guarantee of Ugin's current mood, but Jace certainly wasn't going to allow his side to start hostilities. Others took up Jace's cry. Crossbows were lowered and nascent fireballs allowed to dissipate as Ugin swooped in low over the valley...heading right for Jace. Gideon, Chandra, and Nissa understood. Gideon arrived at a dead run, Nissa seemed to melt out of the underbrush, and Chandra unsteadily pulled herself to her feet, nearly collapsed, and hobbled over using a long length of charred bone as a cane. All three of them were standing with him by the time Ugin's forty-foot-long body slammed into the jagged ground in front of Jace, his claws tossing up shards of distorted stone. "What have you done?" bellowed the spirit dragon. A blast of heat washed over Jace, Ugin's internal fires stoked by anger. Despite Jace's protestations, Zendikari soldiers clustered around Ugin. They bristled at his furious tone, pikes and swords out. Ugin didn't seem to notice them, which was probably an accurate estimation of their ability to harm him. "We saved Zendikar," said Nissa. "What have you done?" asked Chandra. "Lately, I mean?" "Ugin, the plan was mine. The others are guilty only of trusting me. If you take exception to what we've done, you can take it up with me and me alone." "Like hell he can," said Gideon. "We all killed the titans," said Nissa. "We'll all stand responsible for that." "Actually, I killed the titans," said Chandra conspiratorially. "But they helped." "I operated on the information I had," he said, trying to keep the waver out of his voice. 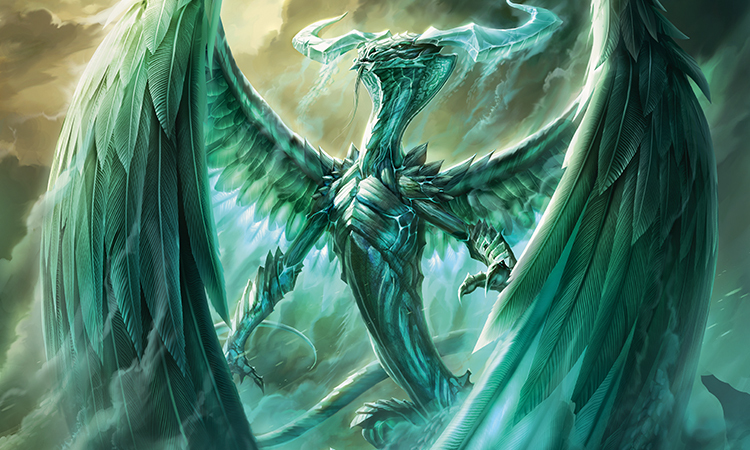 Wise and ancient and intelligent Ugin might be, but he was still a dragon, with a dragon's size and temperament. And teeth. "We made a concerted effort to trap Ulamog, as you and I had agreed, but we were disrupted by a rogue Planeswalker following some ancient vendetta. I think we can all be forgiven for not foreseeing that." Nissa's hands tightened on her staff. Ob Nixilis had escaped, and Jace knew it weighed on her. Count that among their extraplanar obligations, then. "Granted," said Ugin. "Go on." 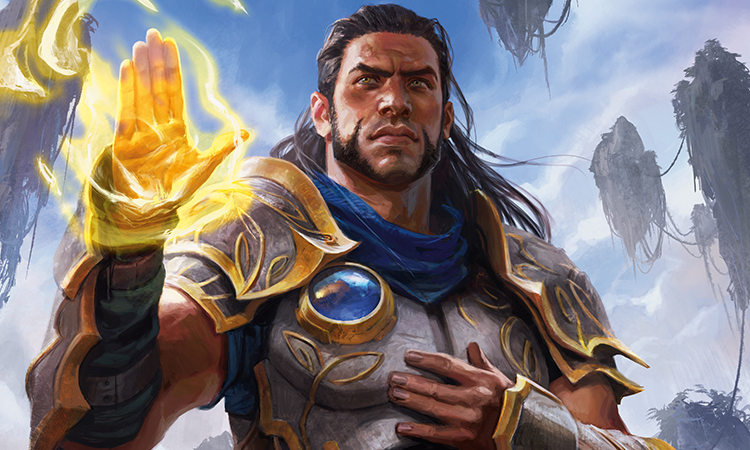 "The other surprise was that Kozilek was still on Zendikar," said Jace. "A fact you either didn't know or didn't relay. Respectfully, I don't find either scenario especially comforting." 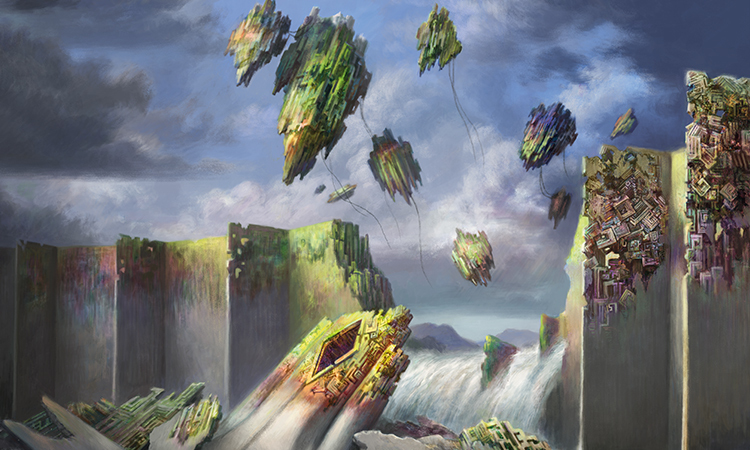 "With the hedron network in its tattered condition, my ability to track the titans was curtailed," said Ugin. "So the third one could be anywhere?" said Gideon. "I can handle this, Gideon," said Jace. "Your little escapade rang this plane like a bell," said Ugin. "I was able to take a thorough survey using the...echoes. Emrakul is gone, and has been for some time." Jace was unsure whether to be relieved or horrified. "Regardless, Kozilek caught us off guard," he said. "We had two titans to deal with, no time to prepare, and no idea how long they would remain on Zendikar. You yourself said they must not be allowed to leave." "You had no reason to believe they would do so immediately," said Ugin. "You should have tried to trap them again." "On the contrary," said Jace. "I had reason to believe Zendikar's defenders might act rashly and drive them off, despite my efforts to convince them not to. In the end, one of our allies tried to do exactly that. We didn't have time to construct a new hedron trap. But we have among our number an animist, capable of shaping Zendikar's leylines directly, without the use of hedrons. Given that—"
"Yes, yes," said Ugin. "It all follows. You could hold them using the glyph, but without the hedrons to bleed off energy and hold the leylines in place, your only options were to let the titans go or pull them fully into physical space and destroy them." "You said that wasn't possible." "I said it wasn't possible for you," said Ugin. "And you led me to believe you weren't going to try, so spare me your sanctimony." "Wait," said Nissa. "You knew the titans could be killed? Did you know that when you trapped them here?" Ugin rose up on two legs, towering above them like a schoolmaster. "You've killed two living creatures that were older than worlds," said Ugin. "Without knowing their purpose, their role, the impact of their lives or their deaths—you risked this entire plane and unknown consequences beyond it to kill them. Because you could." In the silence that followed, only Chandra spoke: "You're damned right we did." Ugin dropped back to all fours with what sounded like a sigh. "There is no force in all the Multiverse more dangerous or capricious than Planeswalkers," he said, shaking his horned head. "What will happen now?" said Jace. "Unknown," said Ugin. "As far as I'm aware, no one has ever killed an Eldrazi titan before. I have theories about what the Eldrazi are, and what might happen now that two of them are dead. The consequences may not accrue until long after all of you are dead, so you may count this as a victory if you wish. I, for my part, will study their remains, and prepare for the future." Jace's friends made noises of disgust. "Let me work with you," said Jace. "Tell me your theories about the Eldrazi. 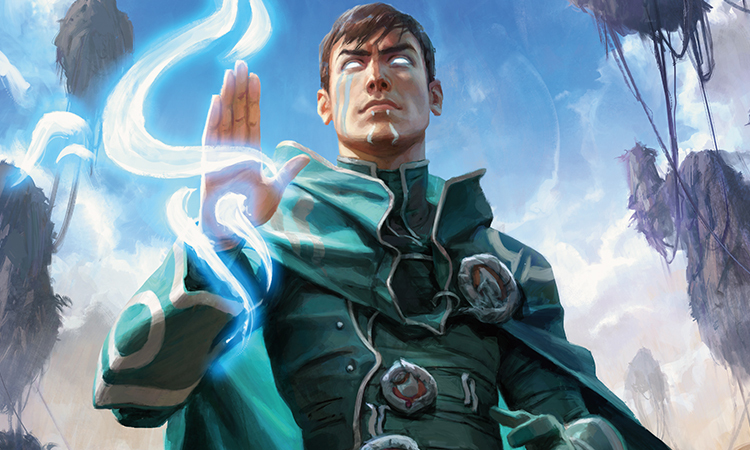 Together—"
"You, Jace Beleren," said Ugin, "have proven to be an extremely arrogant and unreliable partner. If you still insist on helping me, you may best do so by leaving. Immediately." "What about your old allies?" said Jace, incredulous. "What about Bolas?" "I won't stop you from investigating these matters," said Ugin. "Though I urge you to bear in mind that Sorin Markov and Nicol Bolas will be far less forgiving of your interference." Ugin waved one hand, a gesture that took in the Zendikari surrounding him and the valley filled with what was left of the titans. "Tell your people not to interfere with my work. If I want a piece of one of the carcasses, I shall have it. If I want something left where it is, it stays." Chandra shifted to stand between Ugin and the portion of Ulamog's skull she'd been using as a chair. "You'll have to take that up with them," said Gideon. "I doubt you want me to do that," said Ugin, snorting a puff of searing heat. "Goodbye, titan-slayers. May we meet again under more harmonious circumstances—or not at all. Either would suit me." With that, the enormous dragon vaulted skyward, circling out above the newly emptied Halimar Basin. "That went well," said Chandra. Jace buried his face in his hands. Gideon gestured, and Chandra, Nissa, and the other Zendikari slowly turned and wandered back to what they'd been doing. Then he sat down on a rock next to where Jace had been standing. Jace looked down at Gideon, then sat next to him. "It sounds like our troubles aren't over," said Gideon. Sitting down, he was only a little taller than Jace. He'd briefed Gideon about the dragon Planeswalker Nicol Bolas, who'd apparently engineered the Eldrazi's release. About Sorin Markov and Nahiri the Lithomancer, who had helped trap the Eldrazi long ago and who Ugin seemed to think were both still alive somewhere. "I know we're not done here," said Jace. "But—"
"Those oaths we took," said Gideon. "They weren't all alike, because we're not all alike." That fact hadn't escaped Jace. It was a way for one oath to bind four very different people—until "justice and peace" and "the sake of the Multiverse" didn't line up. But they could deal with that when it came. "I need to stay here until I know that the people here are safe," Gideon went on. "I imagine Nissa will stay until she's certain life will continue. Chandra...well, I don't presume to speak for her." He chuckled. "But ultimately we need to know about the next threat," he said. "Not just clean up after the last one." "Yes!" said Jace. "You understand the value of gathering intelligence." "Absolutely," said Gideon. "What do you think should be our first priority?" "Bolas is terrifying," said Jace, shaking his head. "I'd rather not come face to face with him until I know a lot more about what's going on. And we have no way to track this third titan or guess where she might go. That leaves Ugin's allies, Sorin and Nahiri. I'll go to Innistrad and find Sorin. I'm not sure he'll be more help than Ugin has been, but he can't be much less." "I trust your judgment," he said, looking Jace in the eye. "When can you be ready to leave?" "Today," said Jace. "I need to gather supplies and get some intelligence on Sorin, and then I'm ready." "Good," said Gideon. "We'll be here." He stood up, without the slap on the shoulder that he usually administered after giving people orders, and walked away. I'll be damned, thought Jace.It worked on him, too. The darkness made it harder for Nissa to come up with a suitably viable distraction. She had managed to postpone acknowledging the weight in her pocket for as long as the sun had hung in the sky. Between delivering heated blankets to the Zendikari, joining Gideon on one of his many sweeps of the perimeter, and washing the crude dishes in the nearby falls—and then there had been the welcome, if unsettling, interruption provided by the spirit dragon. She hadn't had to stop moving since waking. But now the night had claimed the consciousness of most of the people at Sky Rock, the natural flow of activity had ceased, and the constant comforting stream of low murmurs had been replaced by silence. It was not the silence of nights on Zendikar that Nissa remembered from her youth. In that time, a night was only silent in comparison to a day. While the noises of the elves at her camp would cease for the most part at night, it only seemed to be with the purpose of making way for the sounds of the creatures that were just beginning to wake. But on this world, the Zendikar of the time after the titans, there were not creatures just beginning to wake. Instead there were mounds of chalky corruption. There were not trees with branches for the wind to whistle through; instead there were negative spaces, holes lined with repeating, unnatural patterns etched in an oily sheen. On this Zendikar, the silence of night was far more complete. And it was that silence that rang in Nissa's ears as she finally stopped moving. It was the first time she had been to the glyph since the moment it had been seared into the ground. The others had visited it. She had seen Jace studying it, had watched Gideon walk along it, tracing the curvature of the lines with his steps, lost in thought. Many of the Zendikari had come by as well, leaving small tokens along its edges, taking off their shoes before stepping into the softly glowing grass. And the soul of Zendikar was there too. Nissa could feel it. It had been there, waiting for her all day. She only had to reach out. But she did not. Not yet. Instead, careful not to tread on the glyph's lines, she made her way to the centermost point. Standing on the triangle of clear ground, she rolled up her sleeves. A tension drained from her shoulders as she knelt to the land, surrounded on all sides by the warm, green gleam. It was time. Nissa began to dig. When she had finished, there were four holes. One for each of the seeds that the vampire had given her what felt like years ago. Nissa had plotted the holes with care, measuring and planning for the size of each plant. The Jaddi tree would need the most space to grow. Its canopy would one day stretch across the width of the whole glyph or farther. It would provide welcome shade to weary travelers in its youth, and one day its expansive tangle of branches might become the home of a tribe of elves. Or, Nissa amended, perhaps a tribe of Zendikari—elves, kor, goblins, and humans together. They could live in the Jaddi and eat the fruit of the kolya grove, for there would surely be a grove. The kolya seed would feed on the power of mana here in the glyph—it would be the first to break ground. The tree's slender trunk would grow toward the sun and its flowers would quickly turn to tender, tangy fruit that would nourish the people of Zendikar. And the perilous beauty of the red mangrove would keep the ecosystem, and the people, in check. Then there was the bloodbriar. Nissa's breath caught on a raw spot deep inside. The bloodbriar of Bala Ged. A plant from her own home. Perhaps the very last of its kind. How many others had she taken for granted in her youth? Now it all came down to this one. This one would be charged with protecting all the other life that would subsist here with its nettled vines, the same way others of its kind had offered protection to the Joraga for ages. Nissa could see this new forest taking shape even now as she held the pouch of seeds in her hand. One day it would be all of the things she dreamed for it to be. One day it would be vast and reaching. One day it would be lush and filled with power. One day it would be protected by tenacious thorns. But who would protect it until that day? Who would shepherd Zendikar from what it was now to what it would one day be? "For what it's worth, I know it's going to be hard for you to leave." Chandra's voice startled Nissa; she had been so lost in thought that she hadn't heard Chandra approach. That was a strange thing. Nissa was not usually caught unawares. Stranger still was the way Chandra's words had reached the deepest layer of Nissa's consciousness, touching the feeling that was present but unwilling to wholly manifest. Chandra was the pyromancer, not a telepath. Nissa looked up, meeting Chandra's eyes. They were wide, amber pools of sincerity, and in that moment Nissa felt they could see straight into her soul. She was unused to others being able to grasp her perception of things, let alone understand how she was feeling. Chandra had done both in a matter of moments. Perhaps that's why Nissa responded so honestly. "I don't know if I can leave." The words out of her mouth, Nissa held her breath. But Chandra didn't say anything right away. Instead she lowered herself to the ground at Nissa's side. They sat there amidst the holes Nissa had dug but not yet filled, encircled by the glowing lines of the glyph, the lines that were only there because of what Chandra had done. If it hadn't been for the powerful pyromancer, Nissa reflected, not only would the glyph not be there, but the land in which the glyph was etched would have been completely obliterated. Chandra had stepped in at the moment that Nissa had felt the world coming apart. Chandra had reached out to Nissa and they had connected in a way Nissa had never connected to another being, not even to the soul of Zendikar. Together the two had combined their powers into something that was enough to destroy the Eldrazi titans. Just barely. Both had been terribly weak after it had ended, Chandra unable to walk and Nissa, for a time, unable to see or to stop her limbs from trembling. But now they were here, they were healing. And so was Zendikar. Only it would take much longer for the world than it had taken for Nissa and Chandra. Perhaps Chandra would understand that. Nissa looked to the pyromancer, who still had not uttered a word. "It's extremely fragile right now," Nissa began, an attempt to explain. "It came so close to fracturing. There's still so much that could go wrong, so many dangers. Whatever happens next will shape it, will help to make it whatever it will become." "I bet it will be amazing." Chandra smiled and laid back on the cushion of soft growth, hands behind her head. "I don't want to miss it," Nissa said, surprised at herself for admitting this aloud. "I want to be here when it happens." "I can understand that," Chandra said. "And," Nissa added because she felt she had to, "I don't just want to watch. I want to keep guard. Someone should be around. To protect it. To help it along. I can do that. I should do that." They sat in silence, Nissa running her fingers along the folds of the pouch of seeds. She thought of the day she had first held them, of the weight she had felt, so much more than four little seeds. Of the responsibility. And of the fear that she would fail. But she had not failed them. At least, she hadn't failed them yet. There was still more to do. Wasn't there? Nissa broke the silence that had settled between her and Chandra. "If I stay here on Zendikar—"
"You have to do what you have to do," Chandra said. "I won't hold it against you." Nissa cleared her throat. "What about the others? Do you think they will understand?" "Gideon and Jace?" Chandra said. "Sure they would. They'd never make you leave." Nissa exhaled—that was good. She had been worried. They had each taken an oath. "They didn't make me leave Regatha either," Chandra said. "But in the end, I chose to come here anyway." Nissa looked to Chandra. She couldn't imagine what would have happed if Chandra hadn't been here on Zendikar; she didn't want to imagine it. "I'm glad you came. Thank you." "I almost didn't. I had a lot of students back there, you know. I was head of the whole school. Abbot." Nissa raised her eyebrows, impressed. "I know it sounds crazy to put me in charge." "It doesn't sound crazy," Nissa said. "I've known since the first time I met you that you have a natural connection to great amounts of power." Chandra smiled. "And that's exactly why I left." She leaned up on her elbows. "I could have stayed and taught those students to be talented pyromancers. I'd have done a good job, too. At least they'd all know how to make a really amazing self-sustaining fiery vortex." Nissa laughed, and then she realized that laughing was something she hadn't done in a while. She enjoyed the way Chandra's nature could so easily make her smile and laugh. "But Mother Luti and the others are going to teach them well too," Chandra said. "They'll all become pyromancers, maybe not with quite as much skill at vortexing as I would have imparted, but they'll be all right. There was something else I had to do, something that Mother Luti and the others couldn't do. Something that no one else could do. And that was to come here. I think that's what Gideon was getting at when he said all that stuff about us having sparks and power and what that means. You know?" Nissa knew exactly what Chandra was talking about: the speech Gideon had made when they had come out of Ob Nixilis's cave and seen the world on the brink of destruction. Gideon's words came back to Nissa: "We need to be committed...to standing together against all the forces that threaten the Multiverse. No one else can do it. This is the task that falls to us, because of our power. Because of our sparks." "No one else can do it," Chandra said, once again making it seem as though she could read Nissa's mind. "But you can. We can. Together. Besides," she added mischievously, "don't you want to see how long it takes before Jace can't take another clap on the shoulder from Gideon and just snaps?" Nissa laughed again. She did want to see them, Gideon and Jace, not necessarily see Jace snap, but it would be—funny? Yes, funny, she decided. 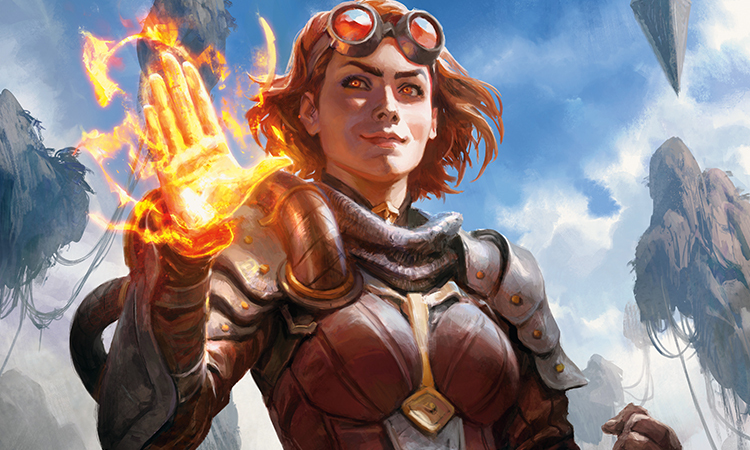 Things around Chandra, Jace, and Gideon would be interesting, most likely exhilarating, and sometimes funny. She realized that a separation from the other three Planeswalkers would be just as painful as a departure from Zendikar. That revelation surprised her. It had been a long time since Nissa had felt a deep connection with something other than the world's soul. But there was no denying that now she felt three more bonds. New, but strong. There were three more souls that were counting on her, and millions more that were counting on the four of them together. "I'm going to go start heating things up for breakfast," Chandra said, getting up. Nissa hadn't realized that the sun had begun to rise while they had been sitting there in the glyph. "Do you want me to bring you anything?" "No," Nissa breathed in the morning Zendikar air. She wanted to be there herself. "I'll come up and get some in a minute." "All right," Chandra walked away. "See you there." "Chandra," Nissa called. Chandra looked back. "Thank you." Chandra smiled and shrugged. "Don't wait too long to get some grub, or Gideon will eat it all." Nissa would not wait. She would not wait for the world to heal; it would heal and grow with or without her there to watch it. And there were others who would be there. She thought of Tazri, of Munda, of Seble, and of Kiora. She unfolded the topmost layer of the silk pouch, revealing the four small seeds. One by one she planted them in the holes she had dug. As she did, she whispered to them of her dreams for the forest they would one day become. She told them of the world they had come from, what Zendikar had been like, and what it had been through. And then she told them of the pyromancer, the telepath, and the fearless leader who had come to save them, who had made this world a safe place for them to grow. With a final breath, Nissa pressed her palm to the ground and reached into the land; there was one more thing to do. She brushed against the soul of Zendikar. She told it to take care of the seeds. But before it could respond, before it could pull her in, encircle her and hold her close, she lifted her hand, and with it her soul. "I will see you again," she said. "I promise." Then she stood up, moving away from the world she had known and toward the one that was waiting. Halfway to the cook fire, Nissa was ambushed by a harried, impatient stream of consciousness. Nissa! I need to talk to you. The telepath strode into view, chasing his train of his thought. You have to tell me everything you know about Sorin Markov. Nissa's heart lifted. Yes, she reflected, this was what she was supposed to be doing now, this felt right. She looked into Jace's eyes, smiling. I think it would be easier if I showed you instead. Without hesitation, Jace leapt into her mind.